Handsome Tours are excited to announce that Neko Case will make her long-awaited return to Sydney on Tuesday 12th March at Metro Theatre. Neko will be joined by special guest, Laura Jean. Her first Australian tour since 2014, Neko will also stage performances at Melbourne Recital Centre, Blue Mountains Music Festival and Port Fairy Folk Festival. Revered as the consummate career artist, fearless and versatile, with a fierce work ethic and a constant drive to search deeper within herself for creative growth, Rolling Stone calls Neko Case “one of America’s best and most ambitious songwriters”. 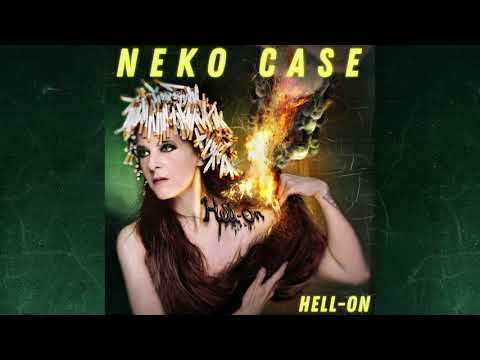 The tour comes hot on the heels of Case’s new album, ‘Hell-On’, released in June on ANTI- via Cooking Vinyl Australia. Heralded by The Guardian as “a pitch-perfect roar of female defiance” and awarded a perfect five stars, the record is a collection of colorful, enigmatic storytelling that features some of her most daring, through-composed arrangements to date. The album features performances by Beth Ditto, Mark Lanegan and k.d. lang plus many others, and is rife with withering self-critique, muted reflection, anthemic affirmation and Neko’s unique poetic sensibility. As with her beloved and classic albums, ‘Fox Confessor Brings the Flood’ (2006) and ‘Middle Cyclone’ (2009), ‘Hell-On’ spins away from conventions of story, slipping into real life, with its fierce mess and blind catastrophes. Don’t miss the one and only Neko Case in Sydney in March 2019!